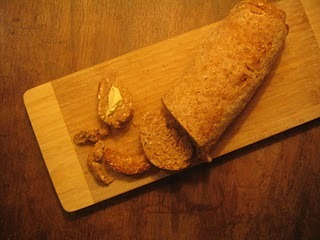 I got the idea for this recipe from a great vegan blog, vegalicious. The link is here: Vegalicious Brussels Recipe. Slice the apple and add a dash of lemon juice to keep the color. 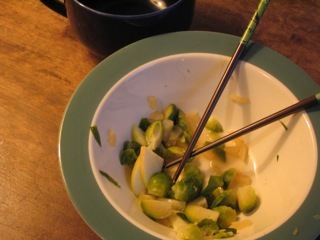 Cut and quarter the Brussels sprouts. Steam until al dente. Saute the onions, then add the water and sparkling cider. Heat until about half the liquid has evaporated. 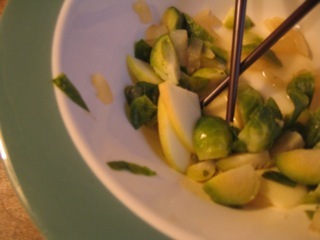 Put sprouts in a serving bowl and add the onion sauce. Mix. Then add the apple and mix again. This could be a side dish with dinner. Very light and very simple. 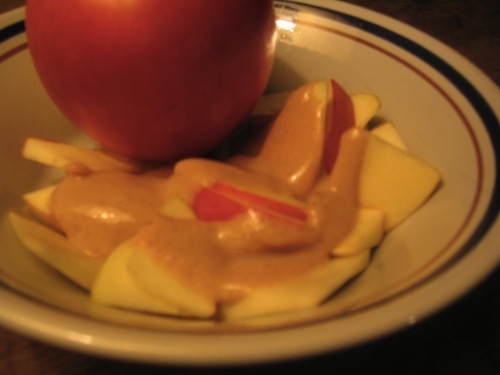 Serve with fruit, on bagels, or anything you’d like! 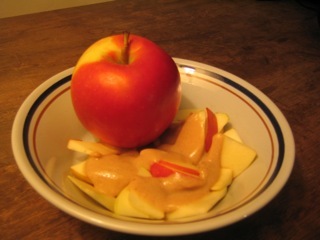 I had it on apples and it was delicious.